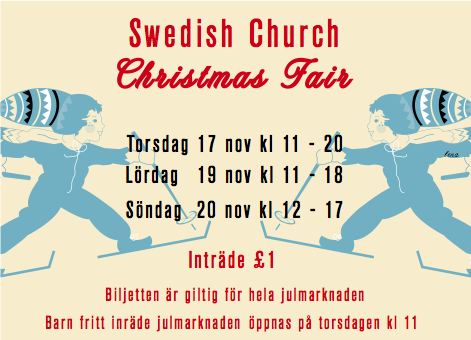 In the middle of November (17th, 19th and 20th) the Swedish Church in London is having their annual Christmas fete, where many expat Swedes (and some others) stock up on all things Swedish. This year the "syjunta" (sewing club) is going to have their own table and all the ladies (and I, as a new member) are trying to make things that will attract buyers. Two themes have been identified; the obvious one is CHRISTMAS, and the other one being CHILDREN. At the moment my inspiration has mainly been to sew things for children; it just doesn't seem right to take out Christmas fabric when the sun is shining and one is walking around in shorts! So far I have some fleece hats, scarves, small bags, pencil rolls and car rolls in mind for the fete, but I am not sure if these will sell. What lovely things you have made.. Must spend a little more time tomorrow to look through all the nice things, will also have a go at making the star. Hope it is OK for me to put your webpage as a link on my blogg.